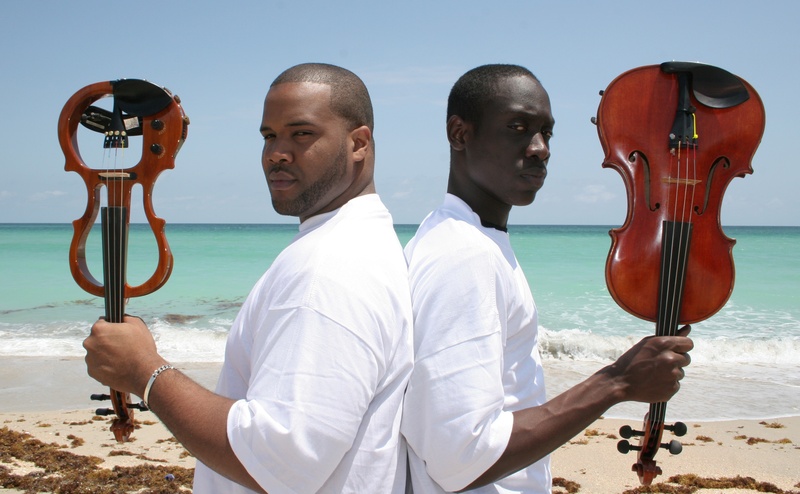 Kevin Marcus and Will Baptiste are the duo that is, “Black Violin”. The two first met in Ft. Lauderdale, FL and played together in high school. Both were classically trained and were also avid fans of rap music as well. They attended different colleges but reunited to launch a career playing and producing other musicians. The two quickly noticed that when playing with other performers that the audience was often drawn to them. They developed performances, covering hip hop songs on their violins that became popular in local night clubs. Their recognition as a group increased greatly when they were invited to appear on Showtime at The Apollo…..which they won. After winning, they sought to brand themselves and their unique style of music. The group has worked on a variety of projects with other artists in addition to producing their own music. Artists they have worked with include: Alicia Keys, Mike Shinoda of Linkin Park, Wu-Tang Clan, as well as scoring an episode of CSI: New York. They also performed for President Obama at his 2013 Inauguration. Black Violin continues to tour and perform playing as many as 200 shows a year. They have also released two independent albums. The group has created a unique brand and niche for itself. Baptiste and Marcus group describes itself as bridging the gap between classical music and hip-hop. The groups newest album, “Stereotypes” will be released on September 18, 2015. This album is more than just music….it also has a message. The view their music as the vehicle for an important message….which is that people should not be afraid to be different. Click here to check out a performance! You will be impressed!